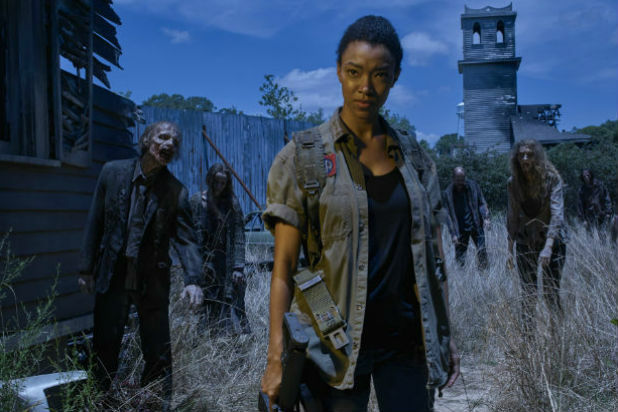 Sasha, played by Sonequa Martin-Green, would not head South if there was a real zombie apocalypse happening at this moment, at least that is what she recently said during a question and answer session. Sonequa plays Sasha in the AMC series who happens to be the sister of Tyreese. According to Sonequa, the last thing she would do in a real zombie apocalypse is head South. Her thoughts would lead her North, possibly Midwest, or to San Diego out West. I think I would go somewhere else, to be honest with you. The South has such harsh conditions. There’s no A/C, you’re hot, your sweat is not evaporating so you’re not cooling down… It’s just terrible, you know? You’re starving and dying of heat exhaustion at the same time. I think I would head North or I would go Midwest. Maybe to San Diego. Who can really blame her after everything we have seen thus far on The Walking Dead? Honestly, so far the worst thing you could do is to head South. While you can be safe from the elements in terms of mild temperatures, there just seems to be more negatives than positives. If you were to head North, you can have the safety of cold winters to freeze zombies during at least a few months per year giving you time to get things done. I think the best option would be to head North, at least in terms of survival. Well to see the rest of the Sasha questions and answers, you can find them below or on AMC. 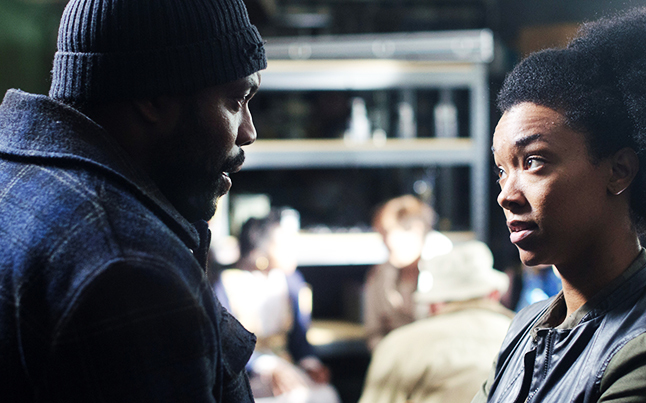 Q: Sasha seems very close with her brother Tyreese. Did you model that off of a relationship you have with a sibling? A: Well I do have siblings, but I don’t have any brothers. I was inspired by some friendships I have. I didn’t have to pool too much from my past experiences, because Chad and I have a very cool connection anyways — it was very brother and sister when we first met. We have the same sense of humor, so we clicked with each other from the beginning. We really were just able to build off of that, and not have to inject something else onto it. Q: Last season was your first on The Walking Dead. Is there an initiation ritual for new cast members? A: Wouldn’t it be funny if there was, and we had to run through some walkers or something? But that’s the beauty of this cast and crew: it’s the most welcoming environment that I’ve ever been in. It’s very familial, and they welcome you with open arms. Q: What was the most surprising thing about being on the set of The Walking Dead at first? A: I was a fan, and when I got there, you think in your actor mind, “I’m sure that these walkers are nice.” You think they’re just doing a really good job making this look scary for the viewer. But that is not true! My first day on-set I had a fight sequence. The set is very dark — if you’re walking alone around the set, you look twice. This walker comes up to me, and I’m supposed to hit him in the head with a shovel and when we were just rehearsing he came at me pretty fast, and I was sort of startled. Six inches in front of your face, they look scary! Q: Sasha has gotten some good walker kills this season. Do you enjoy that aspect of the show? A: Absolutely, because it’s cool and fun. I have stage combat training from college, which is drastically different than fighting for the screen, but I do enjoy that kind of stuff. I love coming to set to find out what weapon I have today. My favorite has got to be the M-5 I have in the first episode — that’s Sasha’s baby right there. I would put the gun in lots of different positions in between takes and name it something: “Baby,” “Boombox.” We’d have fun with it. Q: Sasha is on the prison council. Have you gravitated towards leadership positions like that in your own life? A: I do tend to be a leader in situations in my own life. Definitely in school I always gravitated that way — there’s a little bit of that from me in Sasha. President of this association, president of that, moving on over here. Future Business Leaders of America was one of them. Q: You were on the fantasy series Once Upon a Time. How do you think that character would fare on The Walking Dead? A: I feel like she’s the only character I’ve played in the past that would do really well in a zombie apocalypse . Tamara was quite villainous and willing to do whatever she needed to do to fulfill her mission. So I feel like she would do it in a manipulating way; she would probably be a con woman in the apocalypse, but I think she’d survive. Q: You’re one of a few native Southerners on the show. If you found yourself in the midst of a zombie apocalypse, do you think you’d head South? A: I think I would go somewhere else, to be honest with you. The South has such harsh conditions. There’s no A/C, you’re hot, your sweat is not evaporating so you’re not cooling down… It’s just terrible, you know? You’re starving and dying of heat exhaustion at the same time. I think I would head North or I would go Midwest. Maybe to San Diego. I think we’ve all learned a lot about human behavior and the things not to do in that event. We know community is the strongest option. 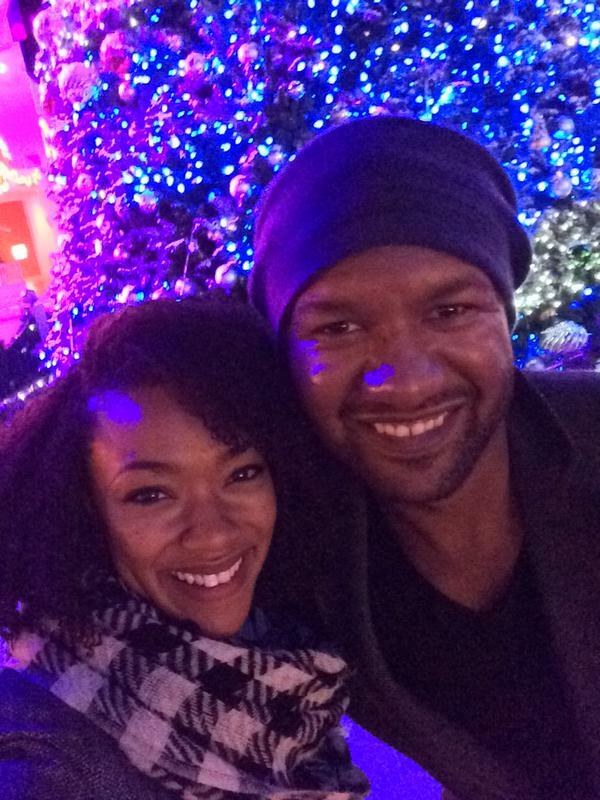 Congratulations to Sonequa Martin-Green, Who Just Had a Baby Boy!